Instagram Puzzle Grid in Magenta, Purple and Blue. 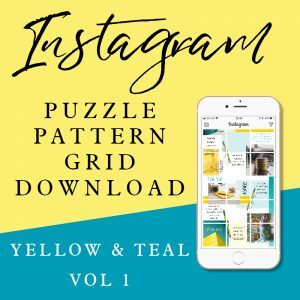 30 posts – that’s a whole month to just download and go. Your Instagram feed will look incredible, professional and on point. 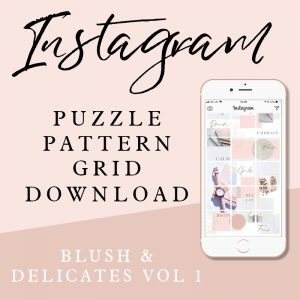 Puzzle Grids are beautiful and will help attract and engage your customers. 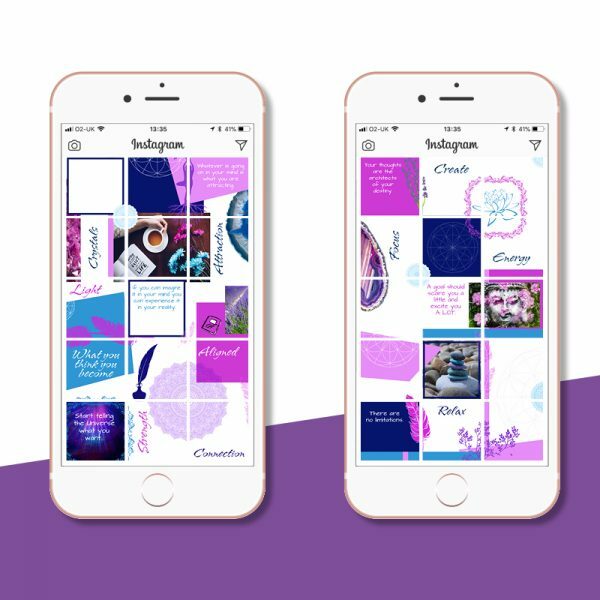 Get creating and posting straight away – all the creation is done for you – all you have to do is add a few words or logo here and there. No need to spend hours and hours creating posts – a whole month’s worth of posts are done for you. 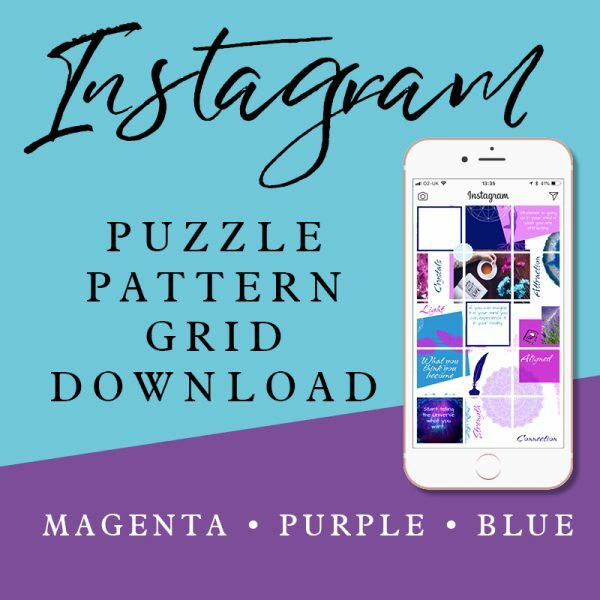 Instagram Puzzle Grid – Magenta Purple & Blue. 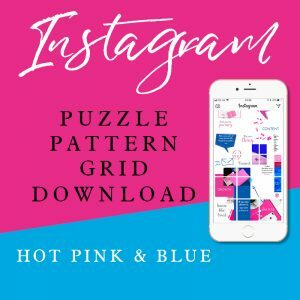 Download and go pattern puzzle grid for instagram. 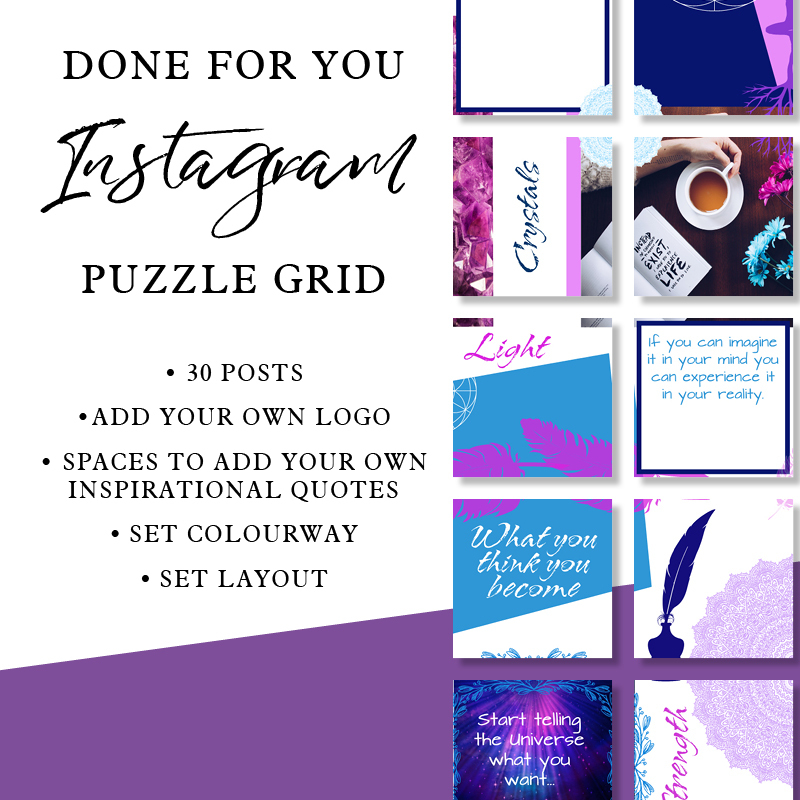 With a 80/20 split – 80 per cent of the posts can be uploaded straightaway and 20 per cent you can add too – perhaps your own logo, your own inspirational quotes using either software like Canva or Apps from your phone like WordSwag. Please note that the grids CAN’T be changed in colour, style or layout. This kit features: feathers, crystals, Law of Attraction Quotes, Journal, Mandalas, Yoga Pose, Lavender and Buddha.